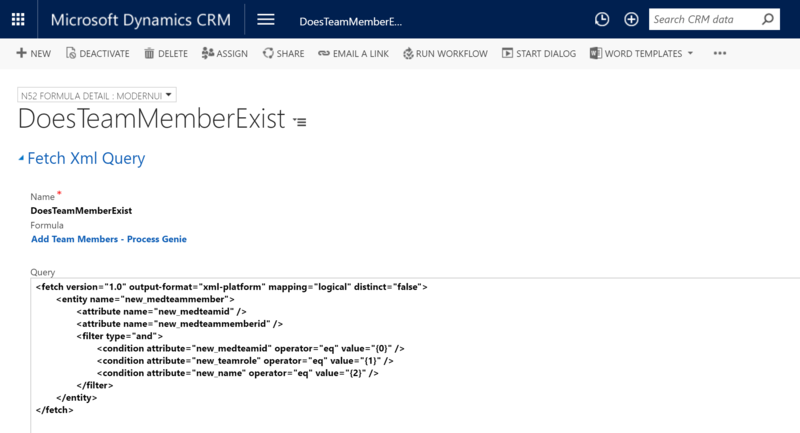 In this example the business requirement is to regularly update CRM with data from another system to keep the data synchronized. 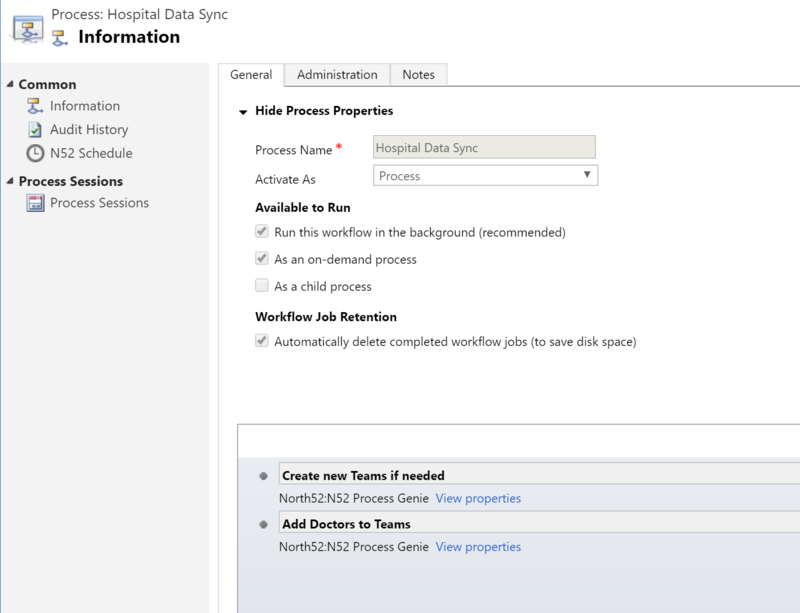 The example we will use here is a hospital system, sending data to CRM that is updated with information on Doctors, their team assignments and patients. 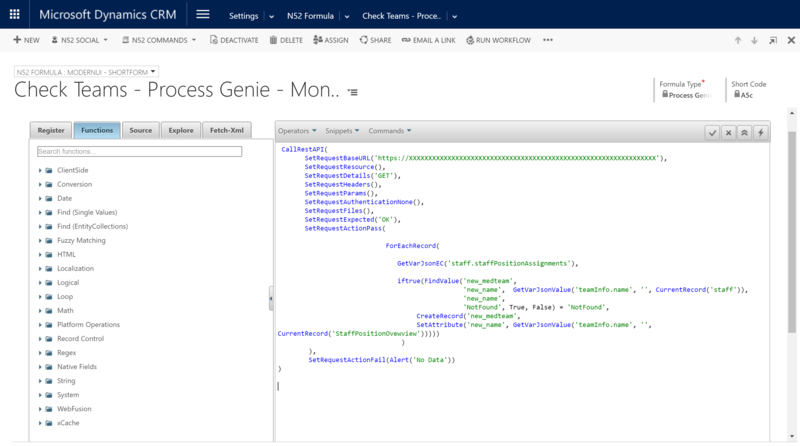 We will use a N52 scheduler to execute 2 workflows that call the REST API of the hospital system and receive a JSON response back which will then be processed by N52 formulas. We will be primarily concerned with the Staff Position Assignment data for the Doctor, we will create any Team's that don't already exist in CRM, and then add Doctor to that team within CRM. 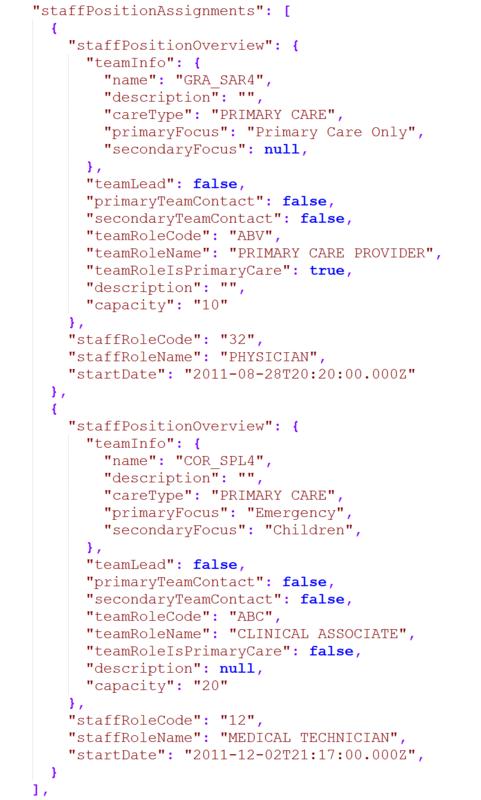 Each Doctor can have multiple Staff Position Overview records returned in the JSON response and the team names are contained within 'teamInfo' section of each 'staffPositionAssignment' hierarchy. Create the 2 Formulas listed above.